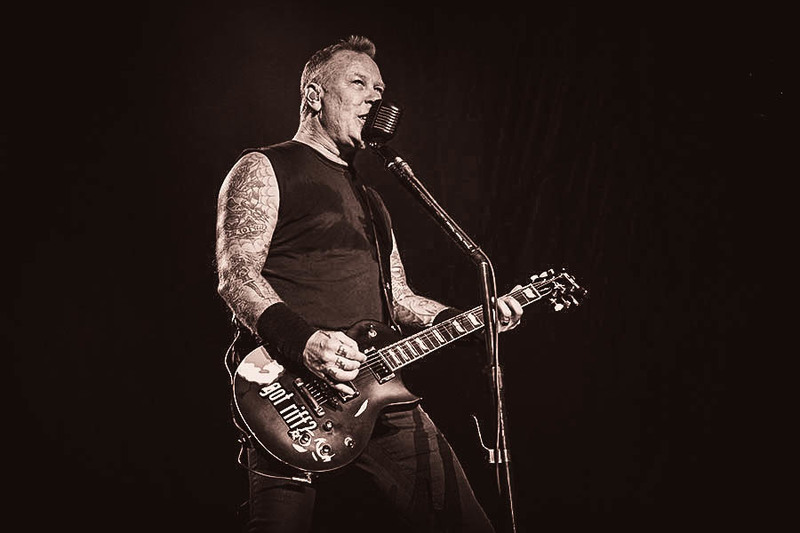 Metallica performed their 1988 classic, “One”, at the Iowa Speedway in Newton, IA on June 9, and the band are sharing professional footage from the event. The third single from the group’s fourth album, “…And Justice For All”, also has the distinction of being the first music video issued by the band while delivering their first Grammy Award for Best Metal Performance in 1990. The US Top 40 hit helped push the album to No. 6 on the Billboard 200 and US sales of more than 8 million copies. Part of Metallica’s North American tour in support of “Hardwired…To Self Destruct”, the Iowa Speedway event was a benefit concert for The Native Fund, the charity founded by actor Ashton Kutcher and NFL star Dallas Clark in 2008 as a way to give back to the local residents of the state they both grew up in. “They are committed to raising funds and organizing resources that can be used to assist the people of Iowa in their times of need,” explains Metallica, “including relief through its financial and programmatic resources to Iowans suffering from a natural disaster, to post-9/11 veterans who are in need medical or other assistance, and to children afflicted with life-threatening illness or disease. Metallica continue their North American trek this week with shows in Arlington, TX (June 16) and Chicago, IL (June 18).